With the B.I.G. Beard Balm currently sitting at no.1 on the Post Shaving and Hair Removal Balms Bestsellers List on Amazon, I'm not exactly surprised to see why! 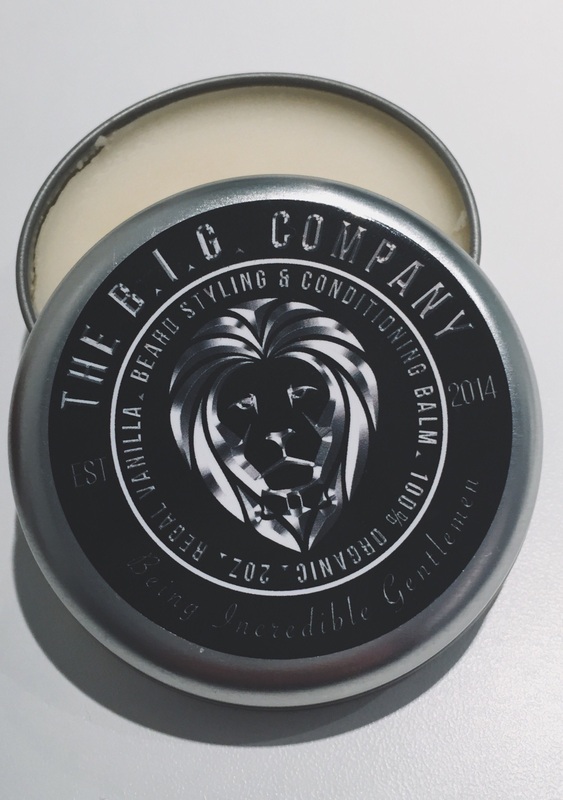 I'd been sent this Beard Balm by The B.I.G Company and I was really intrigued by what they stand for. B.I.G. stands for 'Being Incredible Gentlemen' and part of their vision is to help men become the best that they can be. The wax is encased in a circular case and I particularly love the fact that their logo has a Lion adorned across the front. Lions are my favourite animals so already, I'm won over aesthetically! The wax has a really strong Regal Vanilla scent to it, again I'm completely won over by this as Vanilla is one of my favourite scents! This beard balm is 100% Organic Beeswax blended in with Shea Butter, Argan Oil, Vitamin E Oil, Jojoba Oil, Vanilla Oil and Grapeseed Oil. All of these ingredients help to keep your beard feeling conditioned and well kempt. I'll admit, I found the wax slightly tough and it took me a few attempts to scrape some of this out. However, once the wax was out, the texture of this was very smooth and I found it could be blended in easily onto the beard! I also found it very easy to use and really helped refine the style of my beard. The scent was strong yet it didn't seem to be too overpowering! They have a selection of all of their products which can be found over on their website. Overall, a well polished Beard Balm and one definitely worth trying out! How do you fancy trying this out whilst saving some money? How about.. A 10% promotion code!? The promotion code is BEARDPRO so be sure to enter this in when you go to purchase it! If you're from The UK then you can purchase this here. If you're from The USA then you can purchase this here! Have you tried this B.I.G. Company Beard Balm before? What are your thoughts? Let me know as I'd love to hear some feedback!